Hi loves! Thank you for visiting #SpotlightWeekly Fashion Link-Up where we highlight our favorite trends each week! This time, it’s all about prints and patterns! I’m in serious awe of how elegant this Nordstrom dress feels! It was only $48, and it comes in like five other prints. This print is so perfect for this backdrop though. It’s a random wall in the city, and I fell in love with it during our shoot! Jacqueline and I post our link-ups every Thursday! 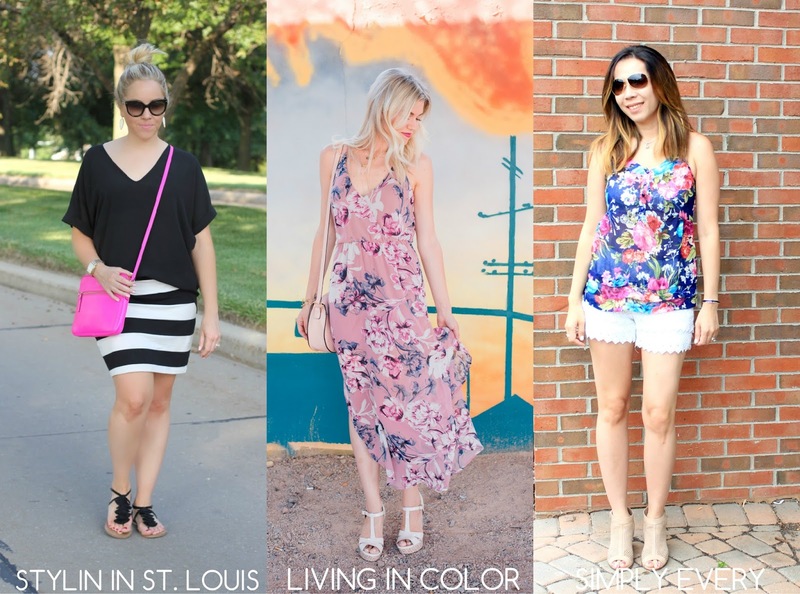 This week our theme is prints and patterns or you can pick any fashion/beauty related post to link up! Come back weekly to visit us! 2. Use the button provided on Elle or Jacqueline’s side bar or link back to the link-up on your blog. 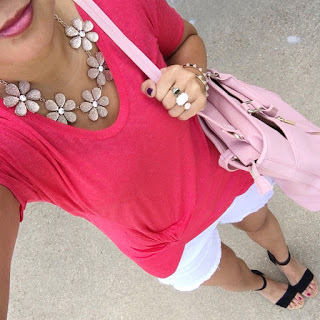 SPOTLIGHT: This week’s spotlight is Carylee of More Pieces of Me. 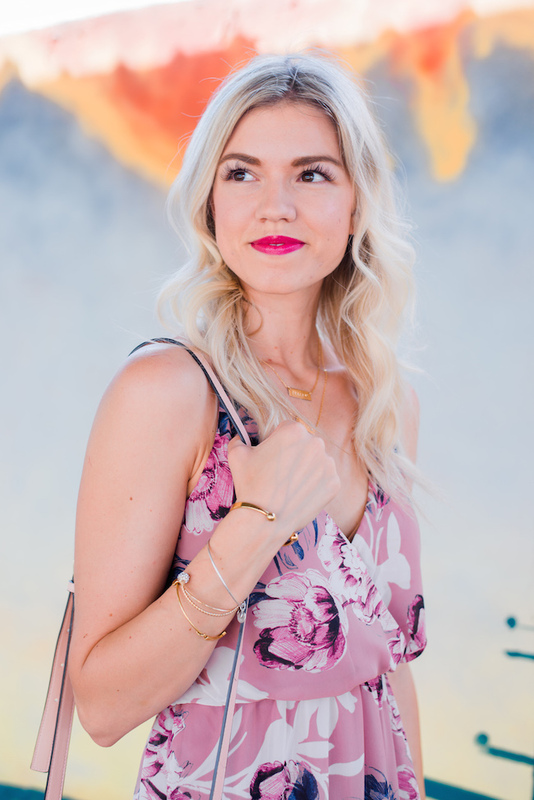 Jacqueline and I love her look from last week’s link-up! Be sure to stop by her blog and say hello! NEXT WEEK: for next week’s trend we’re styling sandals. Thanks so much for linking up each week! Have a fabulous rest of your day! This dress is the prettiest! love the color, the print and the maxi length… so gorgeous! What a gorgeous dress! I love the color palette and it is so flattering. Absolutely gorgeous! This dress would be perfect day or night!! That bag is so pretty – what a perfect color! Gorgeous dress and a beautiful backdrop! I love your delicate accessories! And thank you for the shout out from last week! Lovely dress Elle, loving the colors. This dress is so feminine—I think it's perfect for summer! Love the pretty dress and the background. gorgeous maxi dress! I love the colors! Super lovely dress, and I'm a fan of the bag, too. This dress is so pretty and lovely, I can't believe it is only $48!! You look wonderful! Thanks for hosting the linkup. 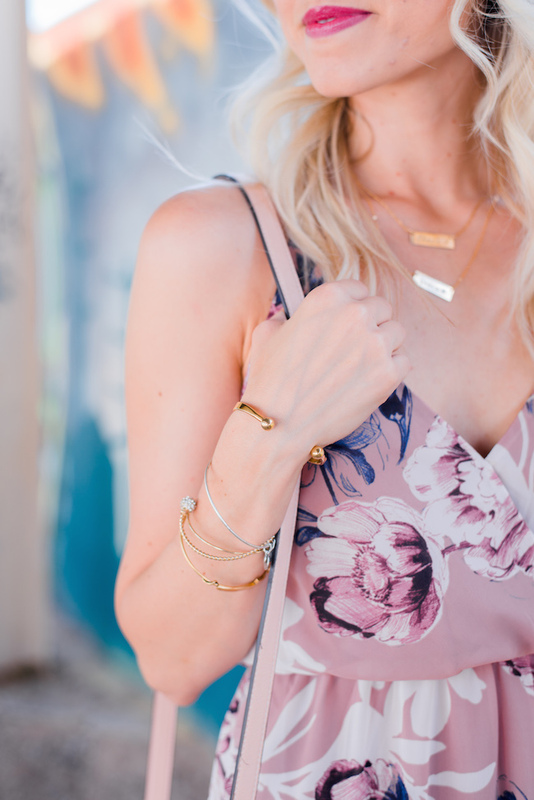 I'm so in love with florals for the season and this dress is no exception! I am loving that gorgeous dress! Your dress is beautiful and a lovely print! Love that dress, it is so pretty!